Here you can find the publications of the last 365 days. Faces fascinate us. Especially those from the past. Consequently, facial representations have been of great interest for collectors and museums for a long time. In the bronze and iron ages faces are predominantly found on funerary vessels. This book presents recent research findings on face urns. This richly illustrated publication provides a deeper look into social life 3000 years ago. Who was the prominent woman? Which role did the old man play? We get to know children and warriors, as well as trade and exchange networks which traversed Europe even back then. For this research, facial recognition and meanings of faces are vital parts. 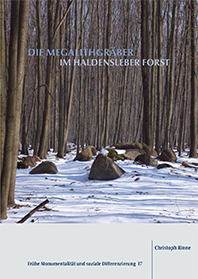 The Haldersleben Forest northwest of Magdeburg near the Midland Canal is known for its impressive number of megalithic tombs. Containing 117 monuments made from ice age boulders in an area of only 86 km², this is the southernmost density centre of this type of site. Yet as of today, this remarkable ensemble of tombs has not been portrayed inclusively before this publication. The publication at hand contains a catalogue and plans of the tombs as well as evaluations of both previously published and unpublished materials in connection with recent research and own recordings. In context to adjacent grave sites and settlements, the region is displayed as an area of habitation and burial. 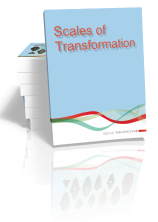 The publication also includes a CD containing all the data collected and used for analysis and provides an excellent basis for further research. 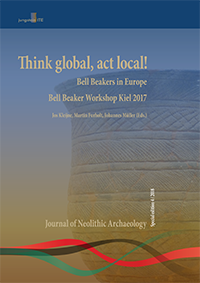 This volume presents a selection of papers delivered at the Archéologie et Gobelets Bell Beaker workshop “Think global, act local”, held between the 17th and the 21st of May 2017 at Kiel University, Germany, in the frame of the CRC1266 ‘Scales of Transformation: Human-Environmental Interaction in Prehistoric and Archaic Societies’. The Archeologie et Gobelets is a research community and network of archaeological specialists from all across Europe who meet every few years, discussing new findings and research concerning the Bell Beaker phenomenon and the wider 3rd millennium BC in Europe. A new publication is available in the book series of the Collaborative Research Centre ‘Scales of Transformation: Human-Environmental Interaction in Prehistoric and Archaic Societies’ (CRC 1266). Centred in the largest island of the Balearic archipelago, Mallorca, during the Talaiotic period (between ca. 850 and 550 BCE), a research aiming at determining the organization of the social space is presented. The principal source of information is the most emblematic and well defined chronologically material evidence of this time frame: the tower-like talaiotic monuments. These buildings are the basic structural unit of talaiotic settlements around which the daily life of the community was developed. Viewing talaiots as an expression of social activity, their architectonic characteristics were investigated and the work investment in their construction was quantified. This type of estimate allowed for a territorial mapping of the social work associated with each structure. The intensity distribution of social activity was correlated with geographical, environmental, and archaeological variables. This research line permitted to obtain a better insight into settlement pattern, demographic aspects, socio-economic and political relationships among settlements, and the role played by monumentality during the Talaiotic period. In archaeology, it is commonly assumed that past societies can be understood through general principles, which dictate how all social life develops, or through historical particularism, which dictates that societies develop in their own specific way. It is also assumed that these two ways of perceiving past societies are mutually exclusive. Due to these incorrect assumptions, it is often believed that case-studies (particular) can be offered in support of a theory (general) when in truth, both these elements are actually scientifically distinct. These assumptions have caused a further misunderstanding: it is believed that narratives, which describe particular histories, cannot be considered scientifically reliable since they cannot authentically represent a general explanatory principle. Narratives remain, to this day, commonly misperceived as purely descriptive. Thus, in order to correct this problem, it is necessary to recognize that generalization is based on the quantitative principle that similar causes will (probably or necessarily) produce similar effects, whereas historical particularism is not based on particular causes or effects at all, rather, historical particularism is based on the qualitative principle that human behaviour can only be understood (Verstehen) through specific social contexts. 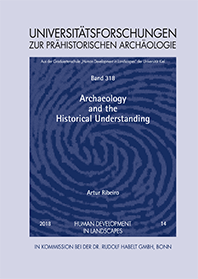 This book analyses in detail the connection between historical explanations and social contexts and what this ultimately means to archaeology. It provides a case-study of how Bronze Age societies developed in Southern Portugal and case-study on how Persian religious rituals became magical rituals in Iberia during the first centuries AD. Finally, the book explains how it is possible for archaeology to embrace both science and history without incurring in contradiction. The Kakucs-Turján archaeological site was investigated by a Polish-Hungarian-German research team of archaeologists and various specialists. This volume contains the first, preliminary results of their work, giving the reader an insight into the complex history of the Bronze Age settlement and its economic activities as reflected in the multi-layered stratigraphy of the site. 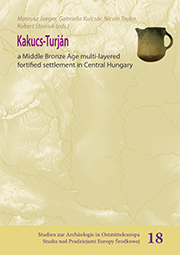 The currently analysed materials from Kakucs-Turján may help to indicate the basic parameters of the development and functioning of the Middle Bronze Age Vatya culture; on the one hand strongly based on local tradition, on the other contextualized within a wider network covering the Carpathian Basin. 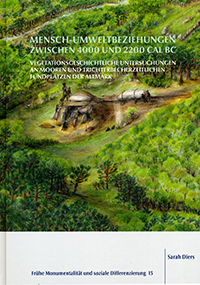 Mensch-Umweltbeziehungen zwischen 4000 und 2200 cal BC. Vegetationsgeschichtliche Untersuchungen an Mooren und trichterbecherzeitlichen Fundplätzen der Altmark. Recent excavations of Neolithic graves near Lüdelsen (Altmark) have provided important insights not only into the biography of these ritual sites and graves, but also into the entire development of TRB ceramics. In this book, Sarah Diers presents the paleo-ecological data of the excavations, and analyses the environmental development between 4000 and 2200 B.C. on the basis of several pollen profiles from bogs in Altmark. 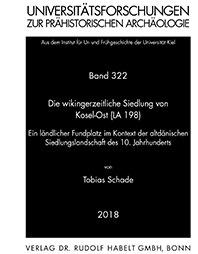 For the first time it is possible to unravel the character and extent of human influence on the environment in Altmark in the Neolithic. We also recognize the strong relationship between environment and society in the Neolithic. The "Journal of Archeology of the Middle Ages" was fonded in 1973 in private initiative. More than 100 years of research and publication on megalithic tombs in north-central Europe have resulted in a comprehensive material base, presented in a single report and typological study, which has been standardized in the presented dissertation: 22900 artifacts from 1582 sites, including 4357 ceramic vessels. The author succeeds in proposing regional typochronological structures and in postulating spatial trends for northern Germany. Funnel-pottery grave ceramics are analyzed by means of statistical analysis for questions on the interaction and communication of local and regional groups. From this the author develops a model that shows a typological trend from west to the north and northeast.